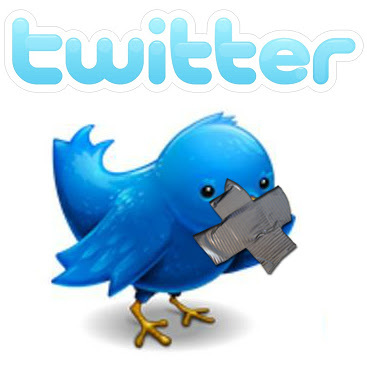 I've been very active on Twitter recently (@Joseph4GI if you're interested). All had been going more or less very well. The first time I tried posting this was on my phone, but I kept getting the error message "We're sorry, something went wrong. Please try again in a minute." I must have kept trying for about a half an hour, when I realized something was wrong. Then I went to my tablet and tried re-typing my message and posting there. Finally, I went to my PC and tried posting again. This time, I only get the message "Sorry, something went wrong." Then I take the above screen shot and tweet that. That went through just fine. 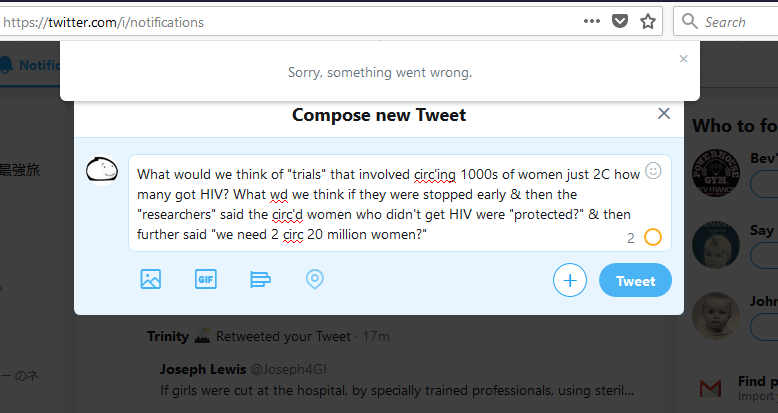 I try retyping the above tweet again, and I get the same error message. I think something is amiss, and I'd like to know what it is. Just posting the latest tragedies, or near-tragedies that surfaced on my Facebook news feed. First up, another story where a child nearly bleeds to death. The child is put in the NICU and the doctors had to cauterize the wound to stop the bleeding. 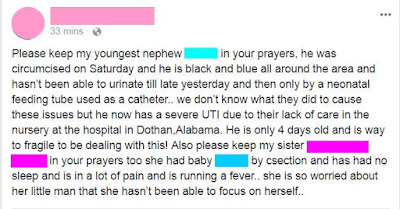 Another child turns black and blue, and is given urine retention problems by his circumcision. 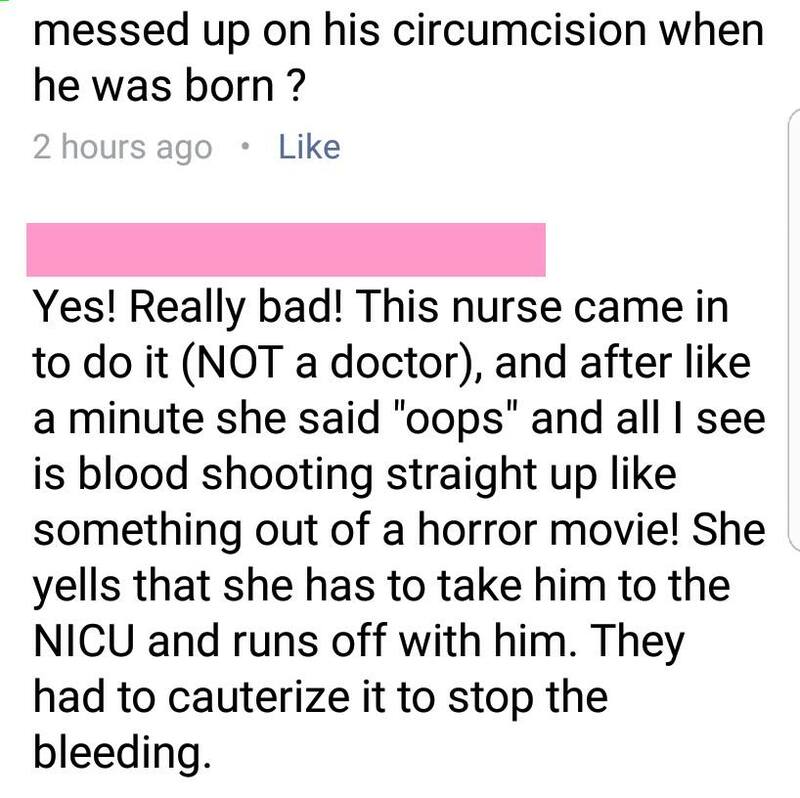 Apparently, the boy's bladder had to be drained with a neonatal feeding tube as a catheter. This happened at Dothan, Alabama. The poster "doesn't know what they did to cause these issues" (Really? 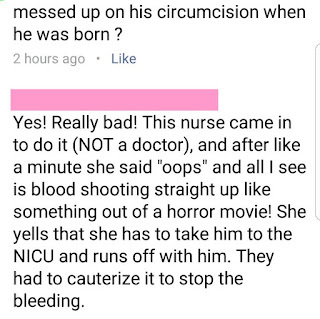 You don't think the fact that the child was needlessly circumcised had ANYTHING to do with it? 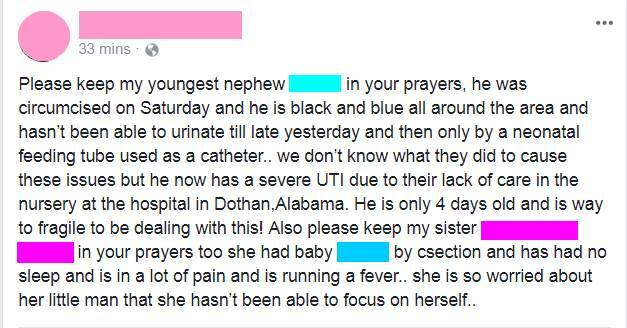 ), but apparently the child now has iatrogenically induced UTI at 4 days old. I say these things every time I post tragic stories on here. The risks of male infant circumcision include infection, partial or full ablation, hemorrhage and even death. Unless there is medical or clinical indication, circumcision is purely cosmetic, non-medical surgery. Under any other circumstance, reaping profit from performing non-medical procedures on healthy, non-consenting minors constitutes medical fraud. Being an elective, non-medical procedure, any risk is unconscionable. In 2012, the AAP admitted in their circumcision policy statement that the true rate of circumcision risrks is unknown. 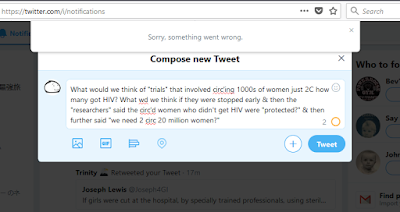 What I post here are only stories that have surfaced on Facebook, but doctors and hospitals are not required to report on adverse circumcision outcomes, doctors have financial incentives to misatribute deaths and complications due to circumcision to something else, and parents agree to be complicite to hide their shame. The risks and complications of circumcision are real, and it should concern Americans that organizations like the AAP are not interested in documenting them. Circumcision Indicted in Yet Another Death: Rabbis and Mohels are "Upset"